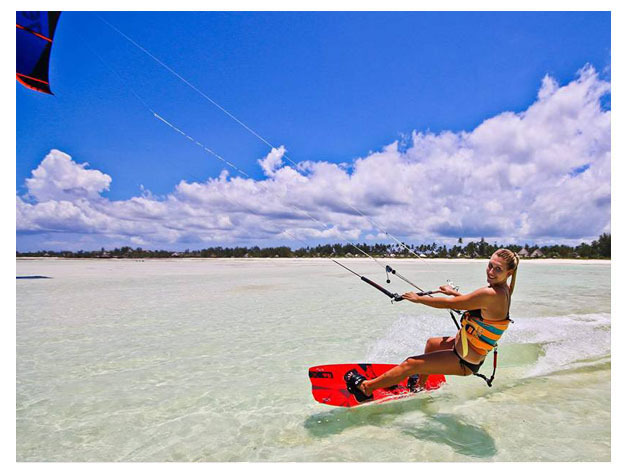 Zanzibar enjoys a tropical climate, so Kitesurfing can be practiced during the major part of the year, thanks to the mild weather and the temperature of the sea’s crystalline water. The long and white sand beaches, with few people during most of the day, allow a quicker learning process, besides a very pleasant and peaceful navigation. You can navigate beside the reef, accompanied by dolphins and a variety of species while observing the sea bed and the turquoise color waters. If you prefer to navigate in the area between the coast and the coral reef, the navigation is easier and so is the learning process. We offer a variety of courses appropriate for the learning level of every surfer: Initiation, Intermediate, Advanced. 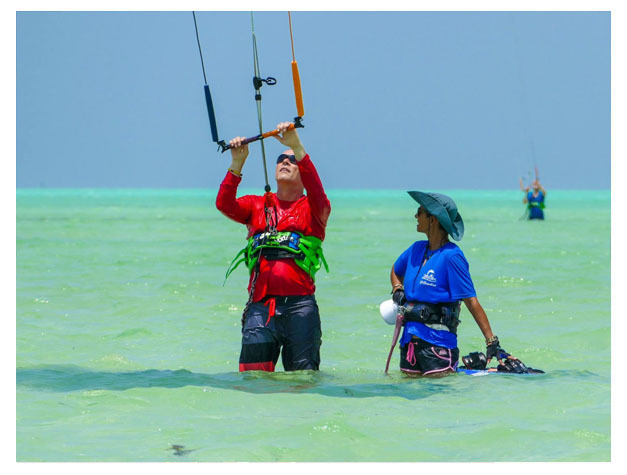 Our centers / schools are prepared to satisfy the needs for kiters with different levels of expertise; from the beginner to the professional kiter. That is why we offer courses, spots and materials for each level.